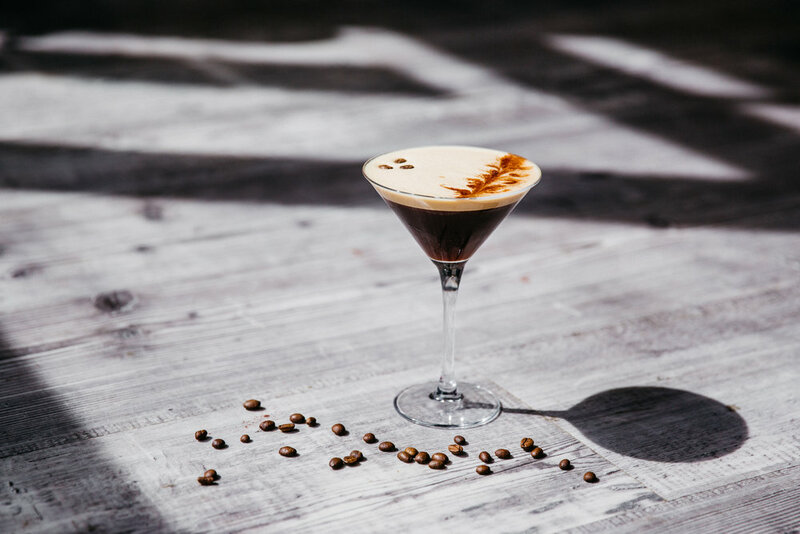 Espresso Martini | Salcombe Distilling Co.
Quite simply our ultimate espresso martini made with our ‘30 bean’ coffee gin available from The Victuallers in Salcombe. In a Boston shaker add the coffee gin, coffee, chocolate liqueur, vanilla syrup, foaming bitters and ice. Shake vigorously for 30 seconds or until the shaker is frosted. Discard the ice from the martini glass and double strain the mixture into the glass. Decorate with chocolate powder to one side and garnish with three coffee beans.